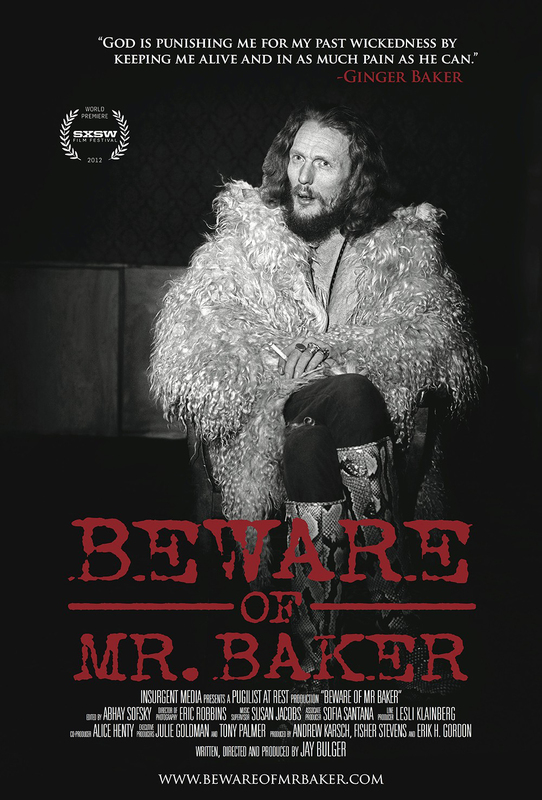 For those who remember the super-group Cream, you will likely enjoy this documentary of their demonic drummer, Ginger Baker. Suffice it to say that Mr. Baker will never win any awards for being a particularly nice human being (his kids, several wives, band mates and musical contemporaries all agree on this), but at his drug-addled height, he was arguably the best drummer on the planet (all the aforementioned and Mr. Baker himself agree on this). Rivaling the Rolling Stones’ Keith Richards for the “I Can’t Believe He’s Still Alive” award, the irascible Mr. Baker holds nothing back as he is led by the director/writer, Jay Bulger, through his troubled childhood, drugs, jazz music foundation, drugs, Cream, drugs, Blind Faith, drugs, polo ponies, drugs, Africa, drugs, Ginger Baker’s Air Force and more drugs, all ending at his current “situation.” The film is filled with great rock personalities giving their own perspectives and it is liberally punctuated with Baker’s egomaniacal patter, videos, photographs and reminiscences. Not a date movie (unless you are going with a former Cream groupie), but it is a fascinating trip back in time for music lovers of the period… and for those of us who are, it’s like watching a train wreck. You can’t look away.